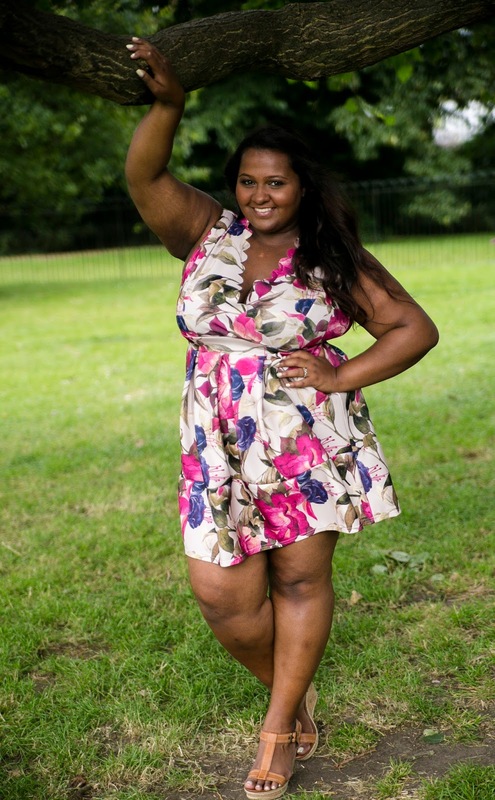 We at #TRE HQ had the pleasure of modelling some gorgeous dresses for Want That Trend at our #TREPicnic photoshoot. Now you may be thinking who are Want That Trend? Don't despair...me too. That was until +Lottie Moor reached out to me telling me about this primarily straight sized brand who had just launched an extended range up to a size 24. I was intrigued, I share Lottie's sentiments in the fact that whilst I wish this range didn't stop at a 24, it is a positive thing that they have extended their range into plus size, without raising the price tag at the same time. 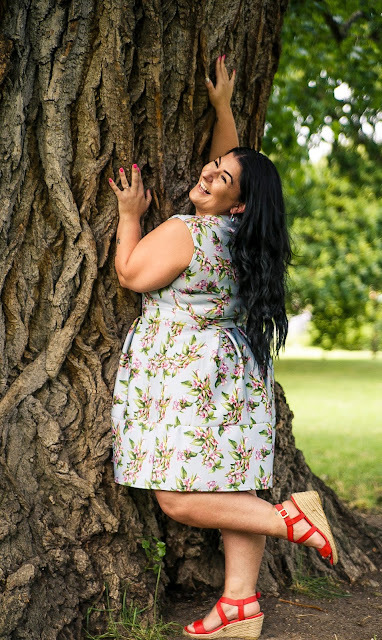 We were sent five skater dresses to showcase in our shoot and I couldn't help but want to throw together a little review for you ladies to let you know all about this fab new collection. The sizes start at a size 8 up to a size 16 in their standard ranges, however they have extended some of their outfits up to a size 20, with a small selection available up to a size 24. The dresses available on the website are made up of an array of beautiful vibrant colours and floral prints, many of the dresses are made of a thick scuba material with quite a bit of stretch in the fabric. The have many skater style dresses and body cons and even a few maxi's. Claire said; "Loved the colours of the dress, the blue really made my eyes pop. The quality of the material was very nice and I liked the shape the dress gave me, however, the dresses are far too short for anyone over 5'7 really. WTT should think about doing a range for taller women then I think a lot more people would by their dresses"
Sian said; "Although the dress is too short in the leg and the body for my own comfort level being 5'11, it is a beautiful dress! The colours are vibrant and you really stand out in it. The fabric is a scuba material so it hugs you just the right amount and is very flattering. I would most likely save the dress for winter and wear some thick tights and boots with it to brighten up those dull days!" Daniella said: "I adored the cut of the chest area, it didn't show off too much cleavage. The colours complimented my skin and eyes. The material had a nice feel. The only negatives is that I felt the puff of the dress made me look bigger than what I was and that even at 5ft 5 I felt conscious of how short it was at the back. Overall a lovely dress but needs to be made longer." Kimberley said; "The dress hugged my curves and made me feel very girly, the skirt length was perfect and the material was soft and breathable. A definite for every wardrobe." Overall Summary: I personally wish that I could own every single dress on the website. The dresses have such eye-catching prints that are perfect for Spring/Summer occasions. The scuba fabric is light-weight and cool. I like the fact that even though this dress only retails at a mere £22.95, the quality of these dresses outweighs the price tag. The cut is complimentary to the figure, showing just enough cleavage and accentuating the waist. Potential improvements: I echo the sentiments of the other ladies, even at my height, I am conscious of the length of the dress. A little extra length in the body and the skirt would make this dress a winner for me. Would I recommend this? Yes without a doubt, the prints are gorgeous and if you don't mind showing a little thigh, then these dresses will be right up your street. These products were sent to me for review purposes. The review above is based on our own opinions of the product and I own all creative content of this post.